I’m going to start this off by urging you to go to the movie theater and see Blindspotting if you haven’t already. It is an excellent film, and Rafael Casal and Daveed Diggs are masterful storytellers both as writers and actors. Go see it now! I already knew that both Casal and Diggs were talented spoken-word artists, but I was completely unaware that they could both beast the mic as lyricists over a tight beat. 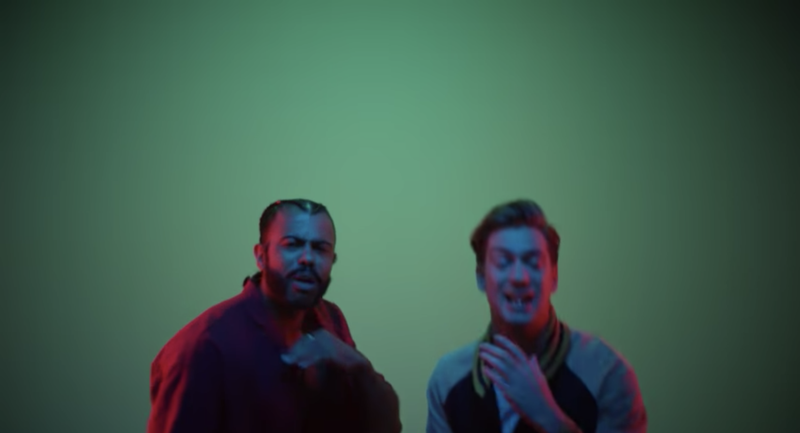 The video for “Easy Come, Easy Go”—a single off of Part 1 of the Blindspotting soundtrack, The Collin EP—was released on Monday. The track was produced by Tiffany Gouché and Reaux Music, and let me tell y’all—this is a banger. Diggs and Casal lyrically moonwalk across this beat. They rap fast. They rap slow. They put that Bay Area stank on it. In short? This is hot fire. And I am not just saying this because I have elected myself to be Rafael Casal’s biggest stan. He had me at the gold fronts on his bottom row of teeth. I say this because I am a fan of hip-hop. I have grown up with it. I have studied it. I recognize the good and the gimmicks. This is no gimmick. This is pure, unadulterated lyricism. Watch the video below and judge for yourself. I am open to your views in the comment section.